Do you like cookouts? Do you enjoy spending time outdoors? Do you like entertaining? Do you want to add value to your Bel Air home? Why not add a deck? With an average return on investment (ROI) of 87%, according to Remodeling Magazine’s annual Cost vs. Value Report, decking is a great way to add both value and living space to your home. Freedom Fence and Home, located in Northern Baltimore County, provides deck construction for homeowners who want to improve the look and value of their homes. Specializing in Wood, Low Maintenance, and Composite decks, our crews are highly trained and have been performing deck construction for years. No matter the material you choose, your new deck will last for years and stand up to the elements. With 40 years of experience, Freedom Fence & Home has provided the highest quality deck construction services throughout Baltimore and Harford counties. Our crews are experienced, knowledgeable, and high skilled, ensuring each deck we build is properly installed to meet your expectations. We have already mentioned this once, but it is worth repeating. A new deck will help add value to your home. And with a return on investment of close to 90%, deck construction is well worth the investment. Few other home improvement projects can offer you those types of returns. Very few! A new deck is a better investment than kitchen remodeling, bathroom remodeling, improving your garage, and almost anything else you can think of. Do you love the great outdoors? Do you like hosting parties and cookouts? If you answered yes to one or both of these questions, you need a deck. 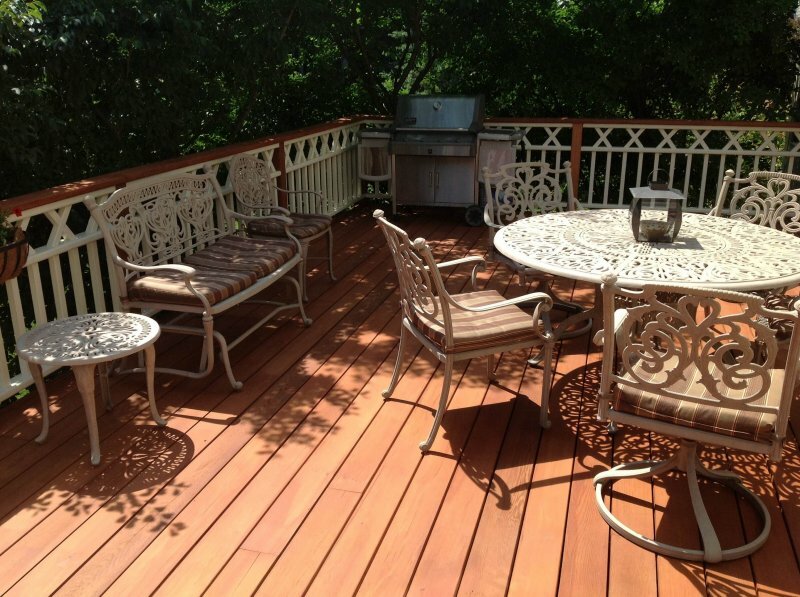 Your new deck is the perfect place to entertain guests. It’s the perfect place to enjoy a meal with your family. It is the perfect place to sit out and gaze up at the stars. Your new deck can be just about anything and everything you need it to be. When it comes to curb appeal, few additions add more than a new deck. Not only are decks incredibly functional, but they look great too. And when it comes time to sell your home, your deck will be an excellent selling point for potential home buyers. If you have any questions about Deck Construction in Bel Air, please contact Freedom Fence and Home by calling 443-271-6841 or visit our website. You can also follow us on Facebook and Twitter! This entry was posted on Friday, August 22nd, 2014	at 1:36 pm	. Both comments and pings are currently closed.